The UK’s fastest growing commercial vehicle motor factor business, Digraph, has agreed two battery supply deals aimed at offering commercial vehicle operators and repairers an even greater choice of original equipment (OE) and high-quality aftermarket batteries for all popular applications. A new supply agreement with VARTA Batteries gives Digraph instant access to an unrivalled range of OE specification batteries boasting the very latest advances in design and technology, including the enhanced flooded battery (EFB) range, backed up by the highest standard of technical support. Digraph works closely with supplier partners such as Johnson Controls to leverage the manufacturer’s sales, technical expertise and market knowledge to enhance penetration of the VARTA brand in the Commercial Vehicle, Bus and Coach segment. 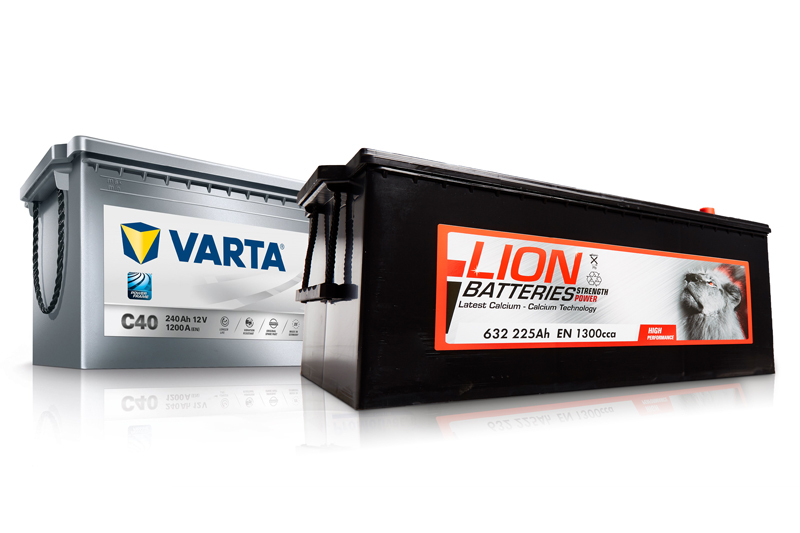 Further expanding Digraph’s battery portfolio, the company has also introduced an aftermarket range of Lion branded batteries for light and heavy commercial vehicles. The Lion brand is a market-leading battery product for automotive applications and an effective value-for-money alternative to the commercial vehicle repair market. With CV technology developing at a rapid pace and increasing requirements from drivers to power more electrical devices, batteries must be resilient to all stresses placed upon them. Lion batteries are designed to give optimum starting power and are produced to a high-quality standard. The range, now available at all Digraph branches throughout the UK, is manufactured using calcium technology to withstand higher temperatures, with an improved shelf-life. Sukhbir Kapoor, CEO at Digraph, commented: “VARTA is a hugely respected name right across the commercial vehicle industry, with a long-respected track record of high-quality battery design and manufacture. For fleet managers, it is of the utmost importance to keep the vehicle on the road and avoid costly downtime. With VARTA we can be sure we are offering our customers exact like-for-like replacements, meeting the build and specification of the battery fitted when the vehicle was originally manufactured.